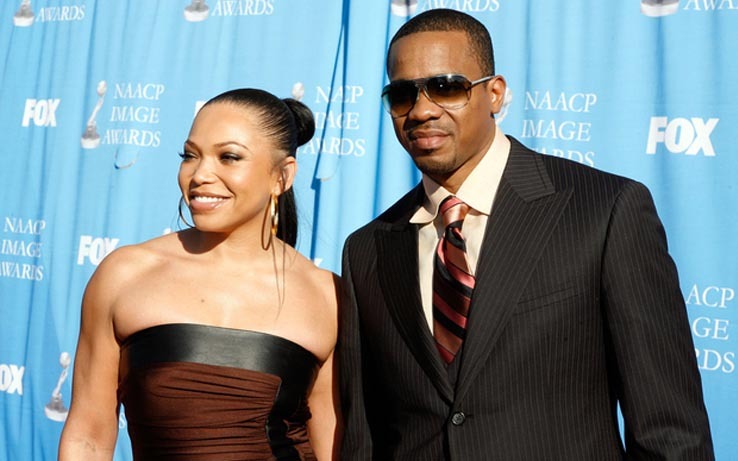 Duane and Tisha Campbell-Martin—one of Hollywood’s most beloved black power couples since the 1990s—recently revealed that they filed for bankruptcy at the top of this year. The breakdown of their financial situation is bleak. According to court papers, the Martins are a little over $15 million in debt, and the money they’ve got coming in (court papers cite under $8000 per month) does not cover their expenses. Here’s a quick snapshot of what the Martins say they owe: $39,000 to American Express; $455,000 to City National Bank; $500,000 in loans given to their company, XE Visions; $400,000 to a company called Money Real Estate; $17,000 in student loans they borrowed for a nephew; money on a 2016 Range Rover they leased for $43,000; money on a 2014 Range Rover they leased for $67,000; and money on a 2016 Jeep Wrangler they leased for $17,000. Campbell-Martin took to Twitter Monday to invoke some humor into this news of she and her husband’s money problems. “Hey anybody got nickel? Yeah guys it’s not like what’s being reported at ALL but it’s funny tho,” she tweeted, but then later took down. She goes on to explain that she and Martin took out some bank loans, the market crashed and they weren’t able to reach an agreement with the banks on a new payment plan for the loans. “Quick statement, have y’all seen the movie “The Big Short?”… Yup we did file but its becuz my hubby n I invested n real estate, got involved w some loans b4 the BANKS caused the market to crash … Obviously couldn’t agree 2 a settlement with the banks, so we filed to reorganize, that’s all, but I so appreciate the genuine concern 4 my fam. I got the best supporters ever thanks TWITTER FAM,” Campbell-Martin wrote. Whew. The Martin marriage is one that people often point to during discussions about which Hollywood marriages—particularly, black marriages—are lasting and seemingly healthy. They seem to be taking this on as a united front, which is wonderful.